NEW Regal Dress Tall Boots! NEW at Mary’s! Loving the newest styles of dress tall boots in the Hunter/Jumper world? Dreading the exotic price tags? 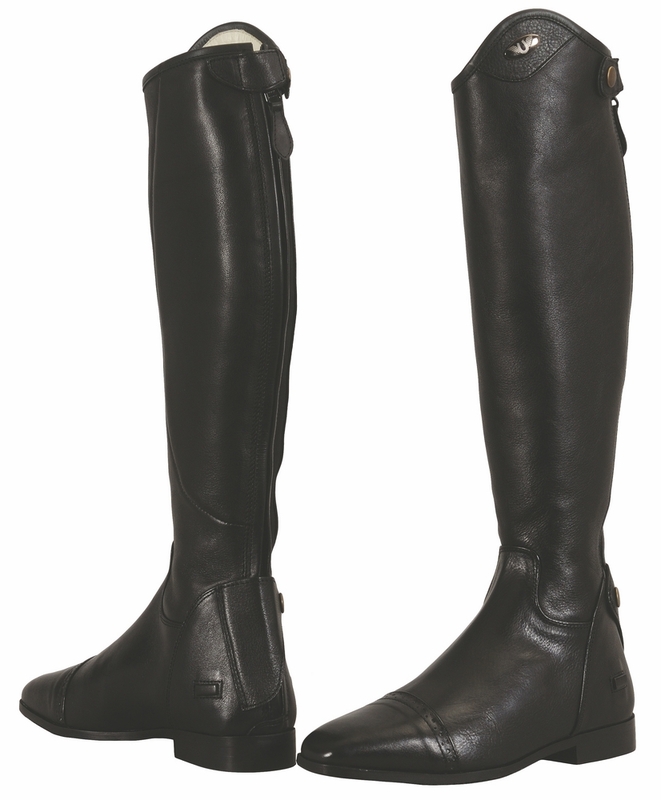 The NEW Tuffrider Regal Tall Boots have the look of high-end European Tall Boots at an affordable price for everyone. We were pleasantly surprised when we opened up the first box in our shipment of these boots: the leather is exceptionally ultra-soft. They have a ready to ride broken-in feel that makes your toes wiggle with anticipation. These boots are the definition of high end luxury at a bargain basement price! This elegant boot is designed with a square toe for a traditional look in the show ring and have a superior integrated grippy leather panel on the inside of the calf for a secure feel in the saddle. A full length zipper and elastic gusset give these boots an absolute custom look on your leg. The Regal Boots also feature snap closures at both the ankle and knee. And if you are interested in comfort, these boots are incredible comfortable with a price UNDER $300! (That’s right, UNDER.) But don’t let the price fool you, these are remarkably beautiful boots. You can have the look, quality and comfort that will help you ride your best. Come and get an expert fit by our Sales Associates at Mary’s Tack and Feed in Del Mar, or spot them online soon at marystack.com. Gear up for Summer with Mary’s 15% off Sale!